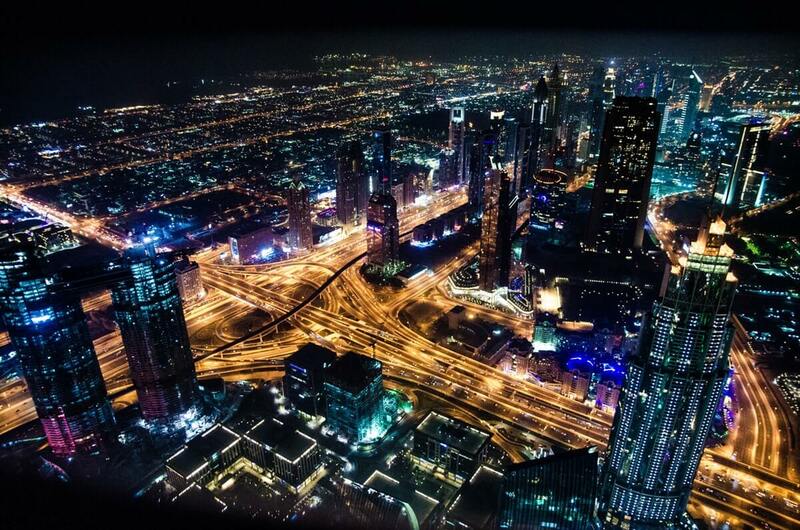 How Smart Cities Can Be More Analytical With The Use Of Smart Lighting? For the first time in the history of our planet, the world is standing at the edge to deter climate change, global warming and the ever-increasing carbon emissions from becoming the ultimate catastrophe. Non-stop initiatives to boost energy efficiency are being implemented by cities and governments around the world to combat one of the most intractable situations of the time. One of these issues is urban heat island effect that’s causing major concern in smart cities. To define it, urban heat island is a specific area in an urban settlement where the temperatures are significantly higher than the surrounding countryside. This effect takes charge on cities during summers and winters and is generally harsher during night times. The effect has afflicted thousands of people across the globe resulting in deaths. The main cause of the increase in urban heat island effect is the human activities which lead to increase in temperatures and pollution. But there are potential solutions that can reduce the impact of urban heat island. However, one significant solution to curb urban heat island effect is much less talked. And that is the deployment of intelligent LED lightings across cities including buildings, homes as well as public places. Intelligent lightings can be used as a versatile smart city tool that can be used for a variety of operations from reducing energy consumption to gathering real-time data on public safety. More efficient dimmable street lights are already here that can reduce the use of light during off-peak load. This and other core smart lighting benefits and thought-provoking lighting solutions will be the limelight at the Australian Smart Lighting Summit 2018. Another important topic of the Summit, that shows how smart lighting can revolutionise the way we live has been discussed earlier. 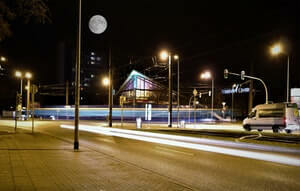 Moving on from here, let’s delve into how intelligent street lightings can be used against urban heat islands. Alongside we also take up one of the most debatable topics like, can dimmable street lights hinder public safety? You will get your answers ahead. Smart use of energy can unlock a host of environmental benefits along with social and economic benefits. Lighting is one of the easiest options to start with. A quick statistical analysis of conventional lighting and LED lighting provided below prove why cities shouldn’t wait anymore to cover entire city landscape with LEDs. This question could strike the minds of many – Though LEDs can be highly energy efficient, how can they reduce the urban heat island effect? Eventually, Australian Smart Lighting Summit would be targeting such questions during their panel discussion. Nevertheless, here are some facts that can give you a brief understanding of the concept. We know that LEDs are a terrific way to reduce climate change. But furthermore, if these LEDs are embedded with sensors and connected wirelessly, they can do a lot more than we can think – intelligent lighting systems can keep a track on air pollution and air quality. As a result, they can be used as potential solutions to meet climate adaptation and urban heat island effect. In fact, a simple LED bulb has been known to reduce air pollution and make the air healthier to breathe. It can produce a healthful environment for everyone including kids and those who suffer from asthma, heart disease and other respiratory ailments. When LEDs are switched on, they come up to full brightness instantly, unlike the traditional bulbs that take few minutes to warm up. Furthermore, the existing methods to monitor urban heat such as remote thermal imaging are expensive ways and provide a single snapshot in time. On the other hand, smart lighting with sensors can detect urban heat in real time (using distribution metering network) and simultaneously help reduce energy wastage in the locality. 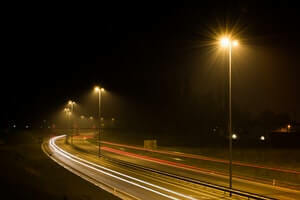 Safety in Numbers – Do Dimmable Street Lights Help or Hinder Public Safety? One of the many features of smart lighting is that during off-peak hours, the lights are dimmed to reduce energy wastage in a particular area. More so, these lights sense the presence of a user and come up to full brightness only when required. So, in one way dimmable street lights are posing questions like can it be safe for people to walk along the public places where lights are dimmed at a particular distance? Besides these, there are some pressing concerns like traffic collisions, accidents and potential for increased crime. A meta-analysis of studies conducted across US and UK revealed that as a whole, street lighting had reduced crime levels by 20%. This holds good for crime reduction during the day as well as night. Similar studies show that improved street lighting has resulted in 45% of the reduction in pedestrian traffic crashes. The impact could be substantial in countries like Ghana where road traffic incidents are very high. Hence, we can take this as a proof that improved street lighting can reduce crime, enhance safety and improve the living environment of a community. More lights means more lit areas where people feel more safe and comfortable while walking along the streets. However, logically this doesn’t prove that if street lighting can subside crime levels, reduced lighting can increase crime levels. Let us take the example of Coolidge Park, situated on the riverfront in downtown Chattanooga, Tennessee. The park has greatly benefited from the installation of LED smart lights. Prior to the installation of LEDs, the park was notoriously unsafe, with gatherings of rogue gangs that often led to gunfire. But the city along with the local company Global Green Lighting installed smart lights that could be controlled remotely, making them brighten, dim or flash at particular times. When the lights were flashed, the gang scattered away. Eventually, the city could reclaim the park and make it a better place. This incident is an evidence that intelligent lights can be of great help to keep the public places safe. Additional features like integrated gun detection technology that uses microphones to capture gunshot-like sounds in cities can be a great option towards improved public safety. Moreover, data gathered by sensors on street lights can enable cities to map out high crime areas and respond more effectively. Alongside, street lights can be embedded with sound sensors that contain built-in speakers used for broadcasting public announcements in case of emergencies. These speakers can even play music in public spaces to make the place more ambient. But there is more to be discussed about the potential use of dimmable street lights for public safety. 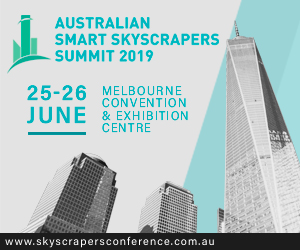 Australian Smart Lighting Summit 2018 is the place to unveil the potential uses of intelligent in lighting. How efficient is the dimming effect in public spaces? Does the installation of dimmable lights, or its proposition, have a positive effect in the community? How does ineffective cybersecurity challenge this? If you are interested to explore cut-throat answers to these questions, participate in the region’s biggest Smart Lighting Summit in Australia. Next articleWhy Is It Crucial To Design Well-equipped Smart Lighting?